Ciara Phillips uses printmaking and other forms of making including photography and textiles as a way to instigate discussion around current social and political concerns. Her artworks regularly combine the bold graphic language of printed forms of public address with more intimate visual imagery including photographs of her friends at work, and objects that surround her. She creates context-specific installations that often foreground exhibition spaces as places for collaborative thinking and working, and in recent years her art practice has become synonymous with her ongoing artwork, Workshop (2010 - ongoing), currently in its eighth iteration at the 21st Biennale of Sydney. Through Workshop, Phillips transforms galleries into spaces of simultaneous production and display which she invites others - artists, designers, community groups, children - to collaborate with her in making new artworks. For this exhibition Phillips has taken a more singular approach, developing a new body of work incorporating woodcut, relief printing and etching with the support of Glasgow Print Studio’s Master Printmakers, Scott Campbell and Ian McNicol. Produced within the shared production space that plays host to the development of many of Phillips’ ideas and works, Show Me Your Glow reflects the artist’s personal and experimental exploration of print and its possibilities. 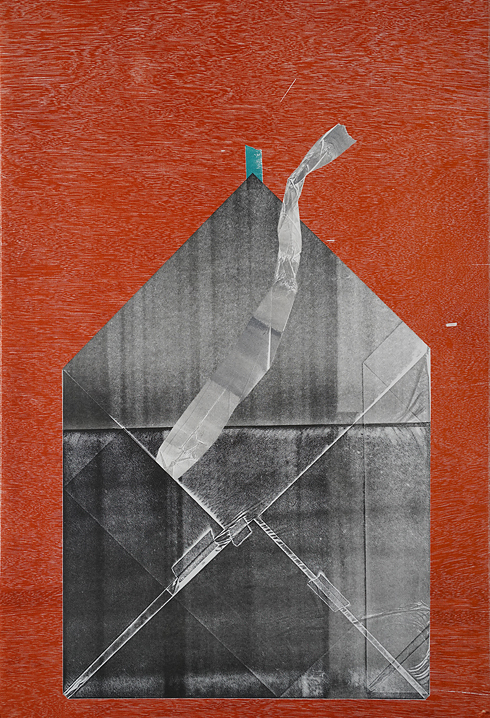 Phillips uses simple materials - cotton, paper, tape - to create works that oscillate between recording material fact and suggesting cosmic elsewhereness. 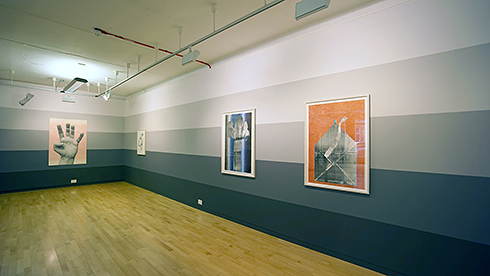 Using an enlarged greyscale as a device in which to situate her works, Phillips grounds the prints in the physical space of the gallery and points towards its importance as testing ground. This reflects on both her process-lead approach to making art, and highlights the physical space of the gallery as interface between artist, art and diverse publics. Ciara Phillips (b. 1976) has exhibited widely in public galleries and museums in the UK and internationally. Her long-term artwork Workshop (2010 - ongoing), currently in its eighth iteration at the Museum of Contemporary Art, Sydney was nominated for a Turner Prize in 2014. Recent exhibitions of Phillips’ work have been staged at: Benaki Museum, Athens; Plymouth Arts Center; Bergen Kunsthall; TATE Britain, London; Scottish National Gallery of Modern Art, Edinburgh; Agnes Etherington Art Centre, Kingston, Canada; Western Front, Vancouver; Konsthall C, Stockholm; The Showroom, London; Neues Museum Nürnberg; Spike Island, Bristol and Hamburg Kunstverein. Phillips has been artist-in-residence at Headlands Centre for the Arts in Marin County California, St. John’s College, Oxford, and at Drawing Room, London. She has worked as a lecturer in Fine Art at the University of Cumbria and at most recently at Glasgow School of Art. This summer she will leading a course at the International Summer Academy in Salzburg and she is currently working on a new commission for the V&A Dundee. Image: (from top) Ciara Phillips, 'Calculated Risk' (2018), woodcut and screenprint on paper. Courtesy of the artist and Glasgow Print Studio. 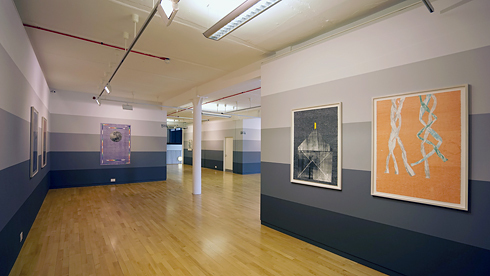 Installation views Glasgow Print Studio First Floor Gallery. Ciara Phillips, 'Still in the Middle' (2018), unique. Woodcut and relief print on paper, 112 x 76cm.